Two things that can instantly lift my mood are saree shopping and good food. 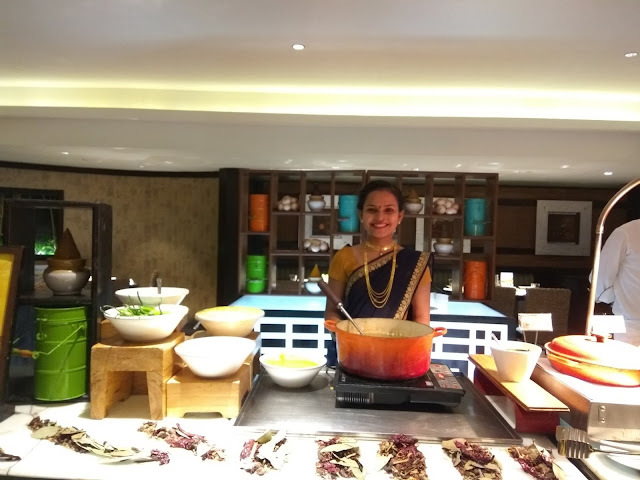 And so when I received an invitation to attend and experience the ongoing Maharashtrian Food Festival at Sahara Star Hotel in Mumbai, I couldn't have turned it down for anything in this world. 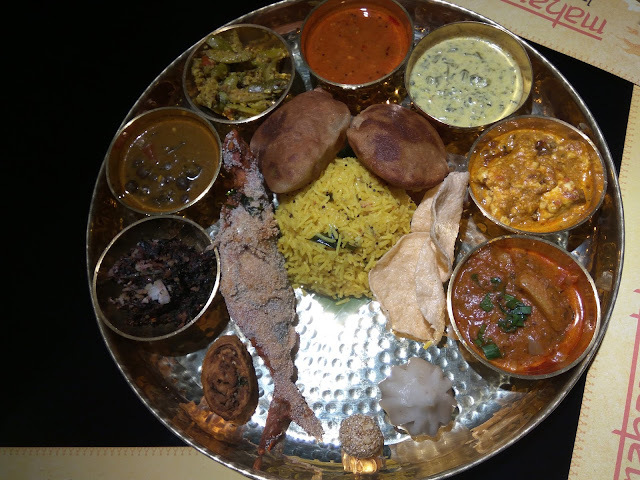 The Marathi Manus in me got super excited , because having seen and tasted it all as far as Maharashtrian cuisine is concerned, I could not wait to taste the Maharashtrian fare that Earth Plate had arranged. Sahara Star has to be one of my most favourite hotels in Mumbai and no matter how many times I go here, I can't stop appreciating its taste in interiors and decor. It's utterly gorgeous and very classy. 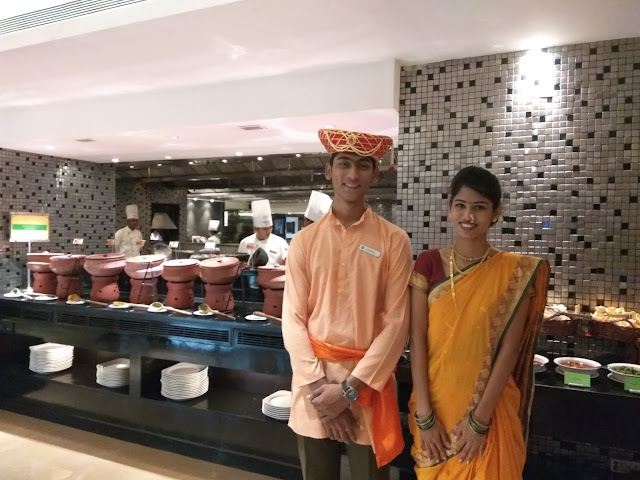 Coming back to The Earth Plate..the decor and theme for this event was obviously inspired by Maharashtra and hence most chefs on the live food counters and waiters were dressed in traditional Maharashtrian costumes. The women in nauvari and nath while the men were flaunting their Pagdis and Phetas. 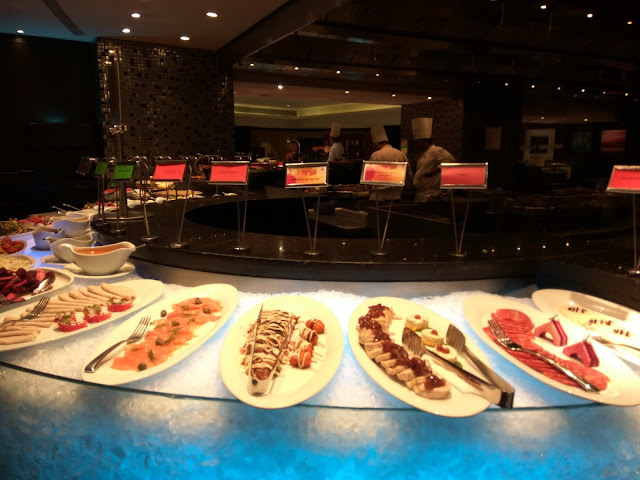 We were then introduced to each counter and section with a tour of the buffet. 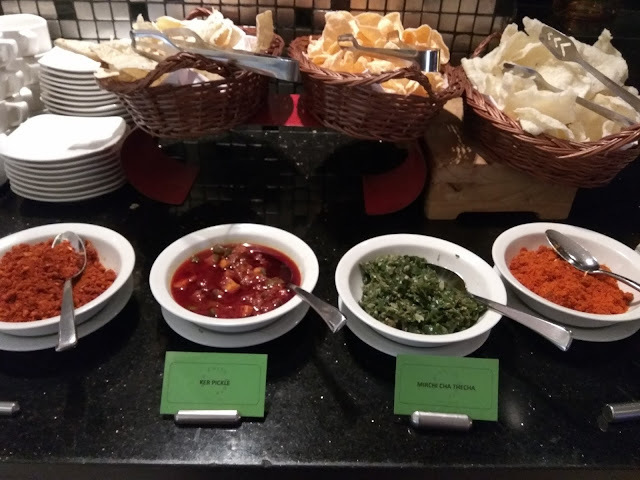 The moment I saw the plethora of marathi style chutneys and pickles, I had started salivating hard. 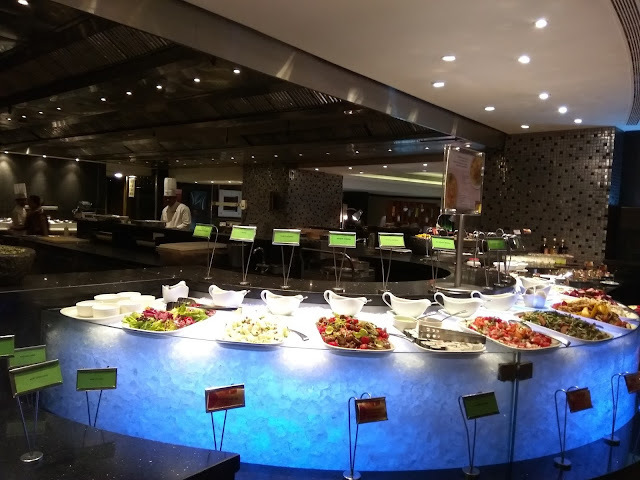 Considering the sensitivity of vegetarian customers, the organisers at The Earth Plate had made sure that they had separated the vegetarian and non vegetarian section, and for their foreigner guests, they made sure they had a continental food spread on display too. We began with the starters. 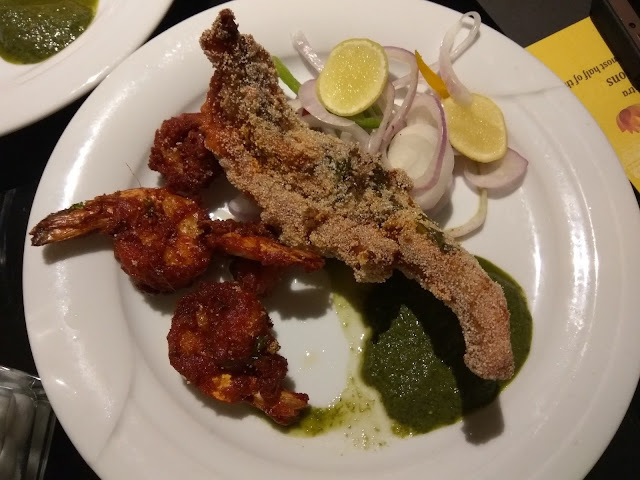 Fried bombil and prawns for me, while my vegetarian partner ordered, onion, potato and pepper bhajiyas and bakarwadi. We also had a variety of papads for company along with a Virgin Mojito and Blue Alaskan Ice mocktails. We then graduated to main course. The bread counter was very interesting. The had amboli, chapati, bhakri and Malvani vade. The chefs dressed in nauvari were taking orders and making them live in front of us. 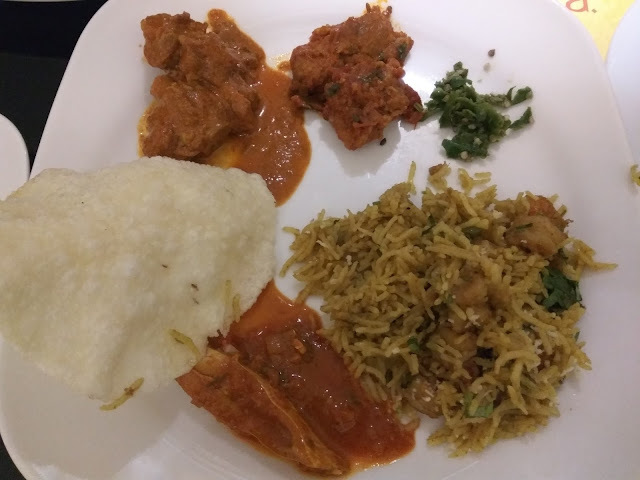 and filled my plate with paplet chi aamti, chicken tambda rassa and mutton sukka, along with prawns pulao. And my vegetarian partner filled his plate with kaju paneer chi bhaaji, kala watanycha sambar, laal mathachi bhaji and tomato saar. The breads were soft, tasty and very authentic. The fried fish were the best. Whether you like fish or not, you cannot miss their fried bombil for anything. While I loved the prawns pulao and mutton sukka, I was a little disappointed with the Kohapuri specialty tambda rassa. And that is because I have sampled it in Kolhapur earlier at a very famous eatery. 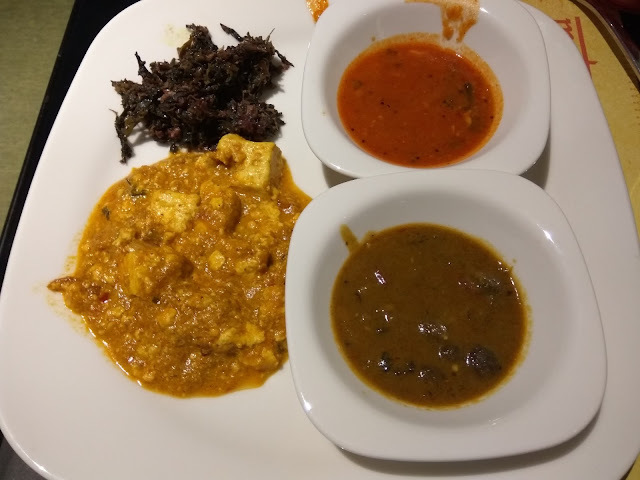 As far as the vegetarian fare was concerned, the kaju paneer chi bhaji was a clear winner, and the kalya watanyacha sambar came a close second. The lal mathachi bhaji was good too. 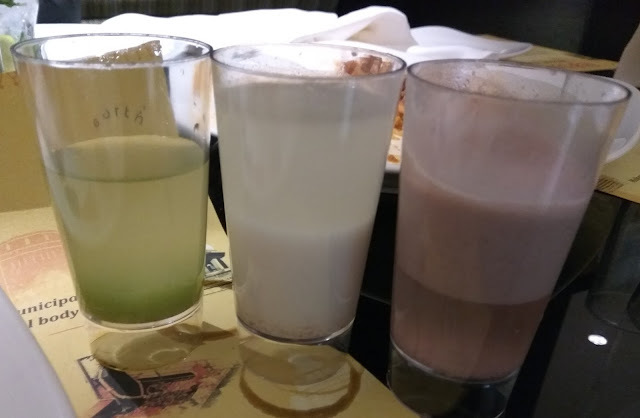 They also had appetizing aam panna, sol kadhi and buttermilk shots and I had too much fun gulping them down. The mocktails were refreshing and kept us going. Then it was time for desserts, and the dessert spread was one fit for royals. 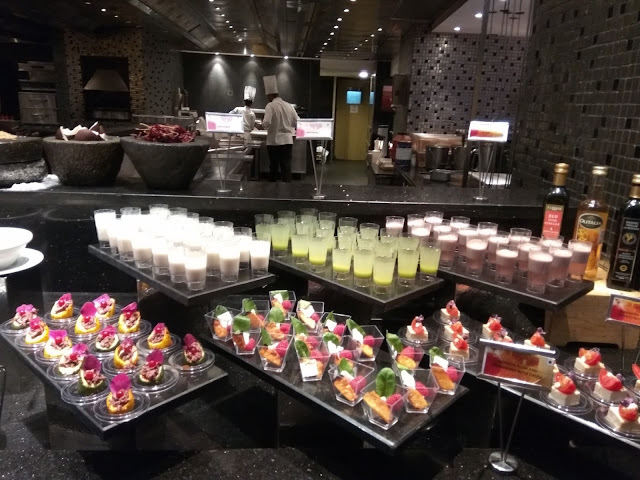 From the traditional Maharastrian desserts they had puran poli, modak, malpua, gajar halwa and balushahi apart from malai sandwich, sondesh, gulab jamun, mousses, pastries and cakes. 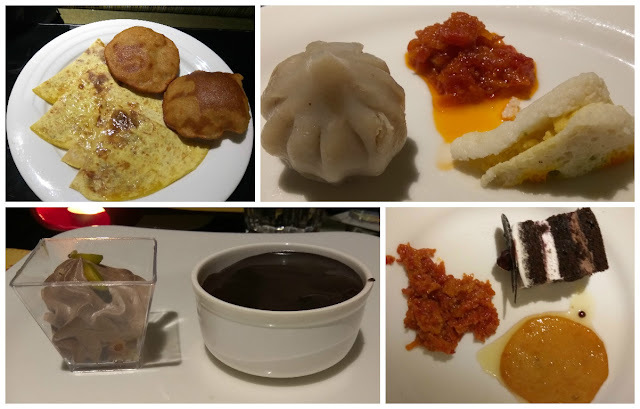 I loved the puran poli and the modak was delicious too. They also had an ice cream counter, but our overstuffed tummies made us skip them. 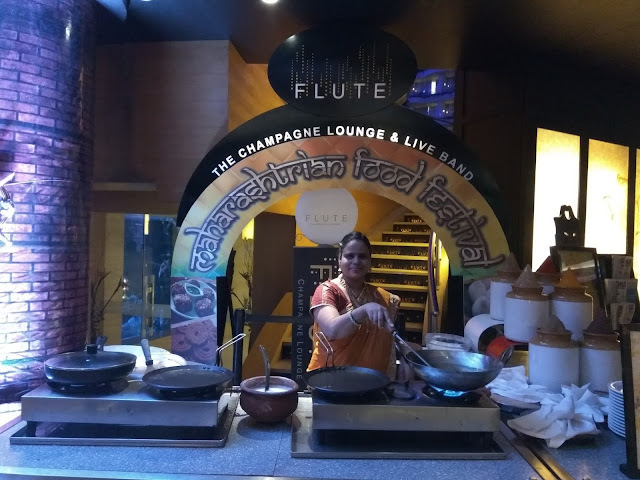 All in all, I loved this Maharashtrian food festival and recommend you try it if you are in the city. The festival is going on from the 12-29th January and costs Rs. 2500 per head including taxes. We promise, this festival will make you fall in love with Maharashtrian food like never before and will keep you craving for more. wow the food looks yumm and nicely decorated. The hotel looks exquisite. Some of the delicacies like Puran poli, Modak,etc are my all time favourites. Ditch the Fork and let your Hands do the Talking!